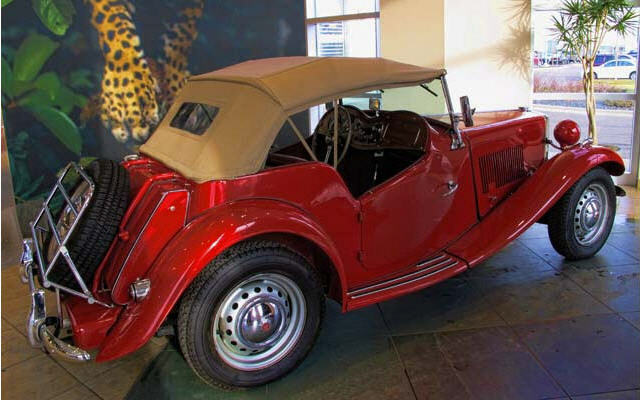 At the completion of World War II, the MG factory found itself with an interesting situation. 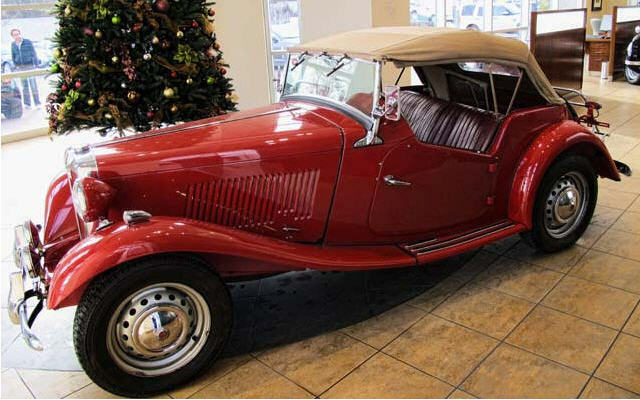 Their celebrated MG TC roadster had been driven, and well-received by, many US servicemen. 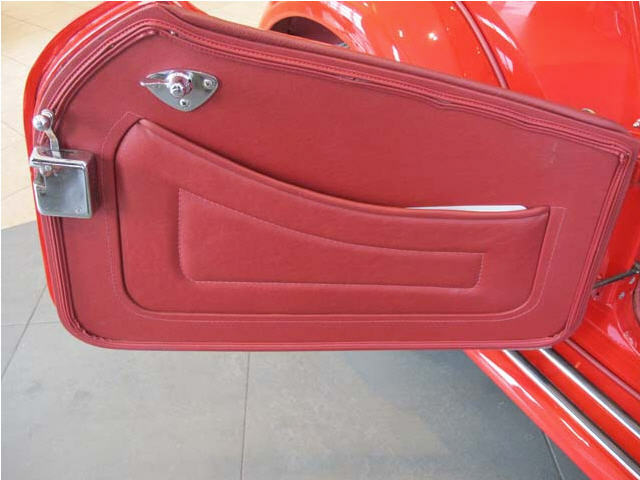 The company found that their current model was lacking for the North American market, as it was not designed for left-hand driving or open freeways. In an attempt to broaden their market worldwide, MG’s parent company granted them permission to make some much-needed adjustments. 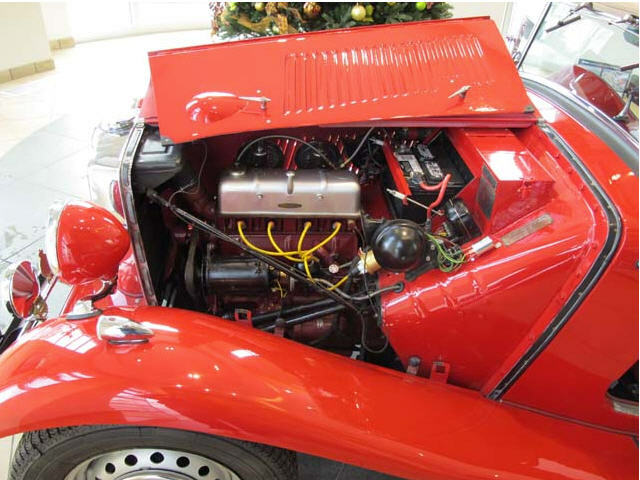 The TD model was a huge leap forward, offering a more powerful engine, smaller wheels for increased road comfort, optional left- or right-hand drive, a chassis borrowed from the Y-Type for increased strength and rigidity, and front and rear bumpers. 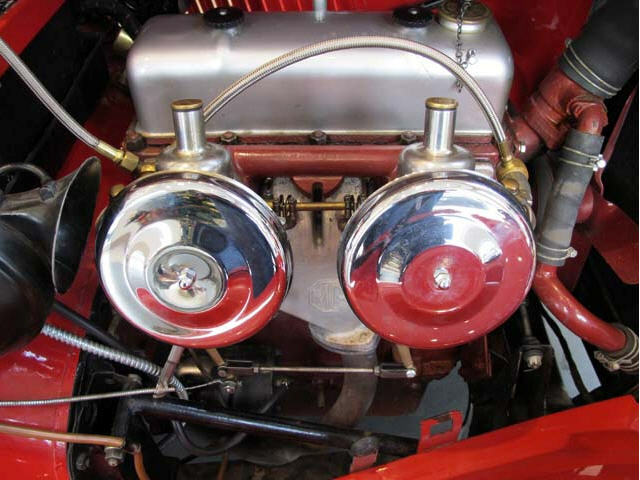 The new technology was massaged into the traditional styling of the older models to create the perfect combination for a decidedly English roadster in America. The vehicle was so popular with the returning soldiers that nearly 80% of all TDs produced were exported to the United States. 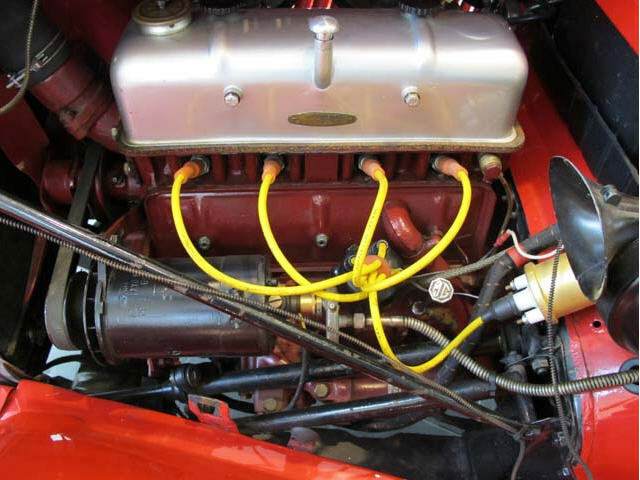 Its previous owners have impeccably maintained this gorgeous 34890 original mileage vehicle. 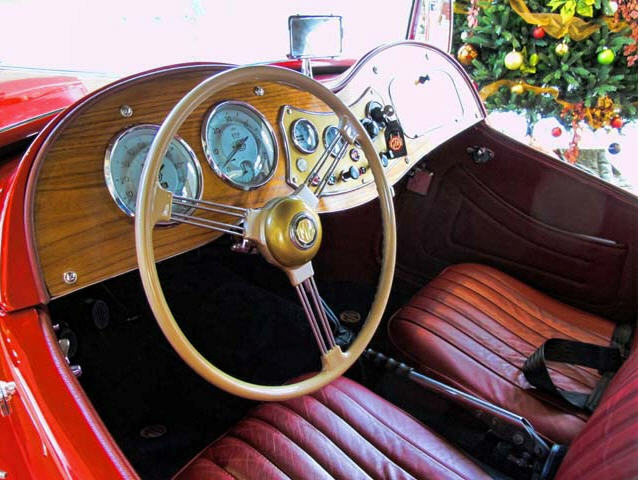 With rich, vibrant wood trim forming the curved dashboard and elegant red leather seating and door panels to match the striking exterior, this is truly an impressive example of English automotive design. 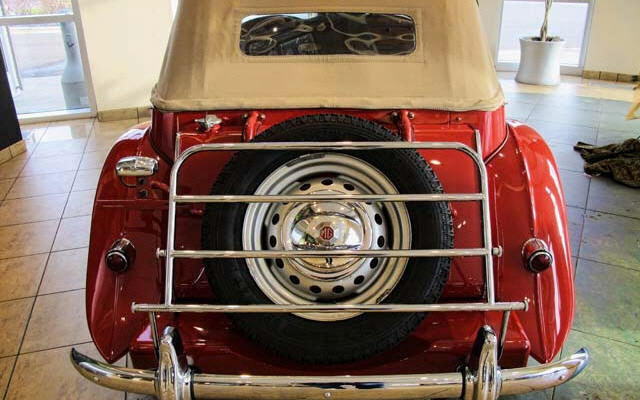 Chrome accents abound from the bumper, mirrors, and luggage rack. 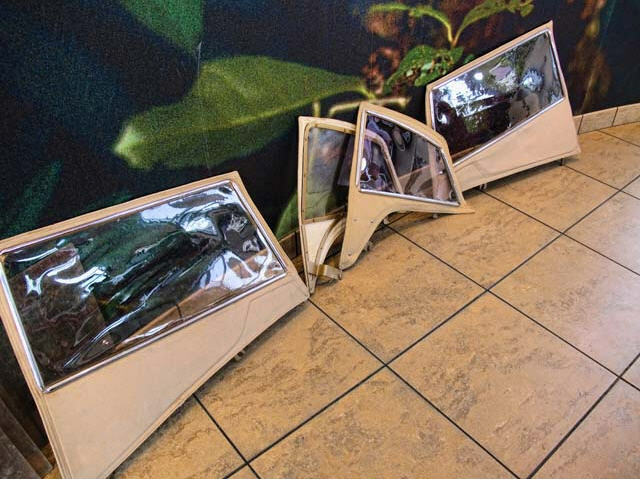 Removable canvas side windows are in pristine condition, as is the drop top. 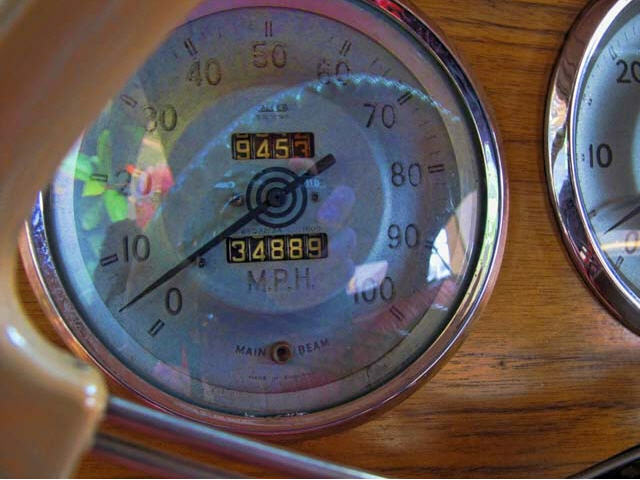 From the reverse-swinging doors to the instrument clusters, you will be swept up in this beautiful piece of nostalgia. 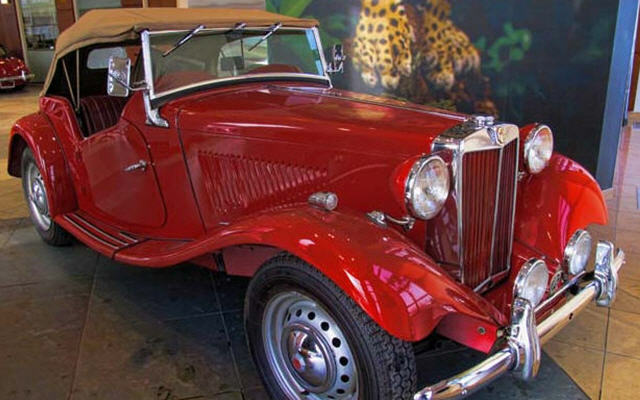 Whether you are looking for your next collector car or something to reacquaint yourself with bygone days on your Sunday drives, this MG TD is sure to live up to your discriminating tastes. 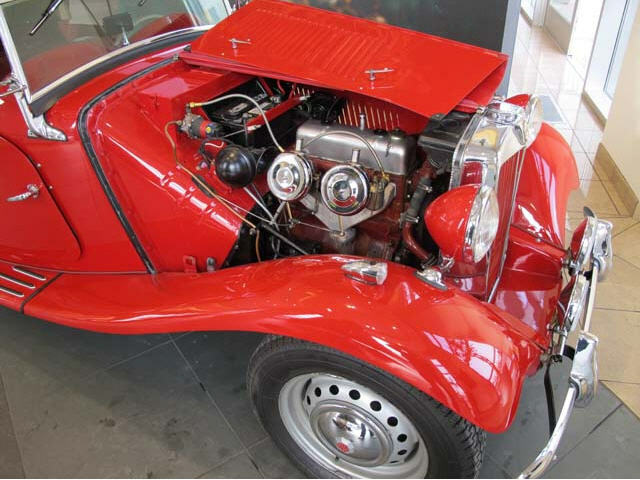 Carefully restored to showfloor condition, this MG was previously owned by a gentleman from Wisconsin with an extensive collection.